Executive Bay is set in the illustrious Burj area of the city and offers dramatic views of the surrounding business hub. The stunning tower offers a range of office spaces, whilst a number of select retail areas service the community. The flexible, thoughtfully designed spaces offer a complete an environment designed to reduce stress and increase productivity, in one of the most sought after locations in the world. 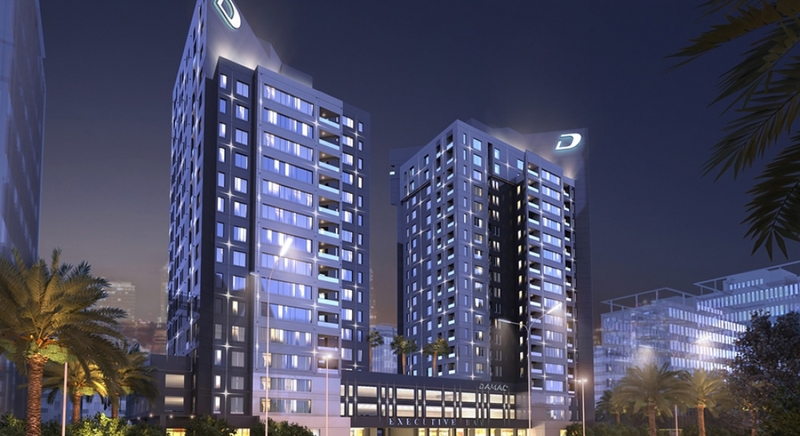 In addition to its enviable setting, Executive Bay is easily accessible from Sheikh Zayed Road. The tower is sculpted into segments of varying heights around the centre, giving the development its very distinct and unique visual appearance. Inside, spaces are thoughtfully allocated so you can accommodate anything and everything you need. When the working day is done, Executive Bay also offers a host of facilities to provide valuable downtime. A large swimming pool, gymnasium and lush, landscaped gardens offer tranquillity and every other possible luxury is just moments away – including the world’s largest mall, its tallest tower and the highest dancing fountain as well as first-class dining and entertainment amenities.